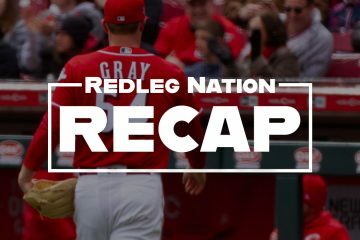 The Short Version: The Redlegs make a nice little comeback, but fall short in an extra-innings loss to the Buccos. –Great game by the legend Scooter Gennett: 2-4, two walks, two runs scored, and his 9th home run of the season. Scooter is now hitting .328/.368/.544 and that’s pretty good, friends and neighbors. –Welcome back to the big leagues, Tanner Rainey! 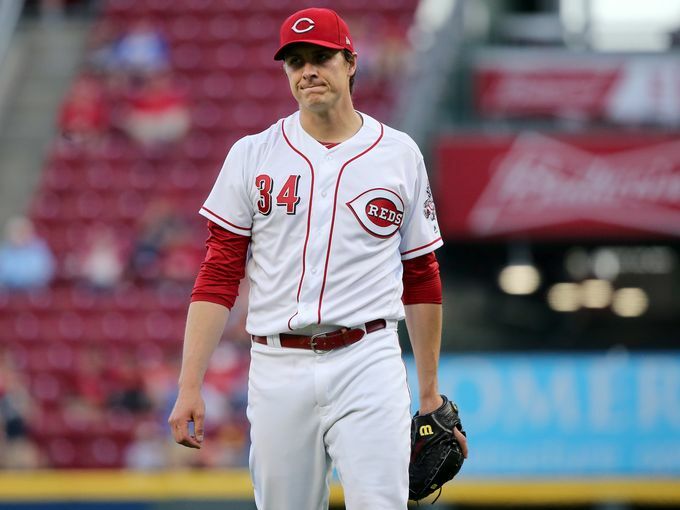 Rainey relieved Homer Bailey, put out a fire, and ended up with two scoreless innings. The kid has a live arm and a bright future, and it was good to see him have some success tonight. –Jesse Winker had a couple of hits in the leadoff spot. Jose Peraza had a hit and two walks, which seems notable. –Speaking of the bullpen, some good work out there tonight. Collectively, seven innings with one run allowed from Rainey, Jackson Stephens, Jared Hughes, Michael Lorenzen (welcome back, Michael! ), and Dylan Floro. –Gonna have to put Homer Bailey in the “bad” column: five innings, 4 runs allowed on 10 hits and three walks; he struck out only three. Bailey gave up a two-run homer in the first inning, but then settled down until the fifth. One run allowed in the fifth, one in the sixth (without retiring a batter), and he left with the Reds down 4-0. Pirates bunt single scores a runner from second base. Yep. –Redlegs could’ve won this one. And that would have made me happier. Why don’t they care about my feelings? —The bullpen should be Homer Bailey’s new home. Although he was actually a good bit better tonight than we’ve seen recently…but he did give up 10 hits in 6 innings, so let’s no go overboard here. –Loved seeing Tucker Barnhart back in the 2-hole tonight. Interim manager Jim Riggleman is no great shakes when it comes to writing out the lineup card, but let’s give him credit for this one. –Where is Matt Harvey when you need him? –I don’t have enough good things to say about Dylan Floro, though he took the loss tonight. He’s been so effective for the Reds this season. Of course, he did have a brutally bad at-bat in the 12th inning, but them’s the breaks. –Down 4-0, the Reds battled back, beginning in the bottom of the sixth inning, when Scooter homered to left field. –Luis Castillo will take the mound tomorrow, as the Reds try to win a series. Which would be fun. Rough night for Dixon. 6 runners stranded. Which numbers are showing positive signs? I’m a big-time Homer Bailey fan, but I have no idea what he was talking about there. Wasn’t Harvey making similar comments about “good signs” after bad outings right before he got sent to Cincinnati? I hope someone over there can figure something out with him. Homer shouldn’t have to go out like this. I was thinking we could possibly trade him to the Mets for Devin Mesoraco. Maybe you guys have the numbers on this and I could be wrong but it sure seems like Bailey has given up a little of runs early in his starts. If that’s true, why on earth would you put him in the bullpen? For use in low leverage situations only so he doesn’t hurt the team so badly. Like when they’re ahead or behind by half a dozen runs. In those situations Homer will do the least harm while the Reds can grab what little value they can out of his contract as a garbage time innings eater. Upside is if during garbage time Homer finds a way to avoid serving up batting practice he can slowly be inserted into games that matter for long middle relief. I can get behind that explanation. Homer becomes the garbage man. Sad times. But otherwise I’m with Joey in that I don’t otherwise see how getting squared up so frequently translates much better to the bullpen. The audio was off as the sports book blared Celtics crushing the Cavs and then a west coast ballgame. Why was Blandino or whomever tried to sacrifice Peraza to second in the11th inning deemed to have interfered? This happened last month too when the Reds tried a sac bunt only for a right handed batter running toward first was called for interference when the straight line path was used by the runner. Catcher’s throw was off, should have been runners at 2nd and 3rd no out and high probability of a Reds W. Great bunt executed. Peraza was easily into second. It’s as if the Reds were penalized more harshly due to the catcher’s error. If the Pirates had gotten that out at first no harm no foul and Peraza is at second. In the 12th great smash by Joey to start the inning…if he had decent speed he’s standing on third with a triple. Or if he had a better presence, awareness of Scooter’s soft hit to center he’d have scored the tying run instead of initially breaking back to second, thus only making it to third. And yes, he should have scored on the hard hit liner to LF by Suarez and gotten Suarez an RBI if not Gennett. The LF had to adjust before turning then throwing it wasn’t a smooth catch and release, and as it turned out the throw itself was mediocre and Joey would have scored. Suarez was well within his right to express his disgust with not having tied the game up. He slammed that batting helmet into the ground when he saw Votto didn’t tag up. Gonna have to DFA Eugenio then. You must not criticize Votto Man, the “Franchise”. He was out of the running lane. He was running on the grass inside the first base line. The rule states you must stay in the running lane (between the two white lines going to 1st). If the throw hits you, you’re automatically out (for interfering with the First baseman’s ability to catch the throw) and the runners are reset to their original positions. Yep, I’ve actually hit two guys on purpose, who were running on the infield side of 1B line, when I didn’t have a play at 3B (in one case) and 2B (in the other case) on a sac bunt late in a game. I got the call once out of the two times. I was going to write something about this if you didn’t. I was looking at the numbers. ERA, FIP, xFIP, xwOBA against, and hard hit balls % against don’t really look that promising. I hope he can turn things around, but I don’t see many promising numbers for him. I hate to see him struggle like this. I hope he can his mojo again, even if in the pen. Runner interference was a close call, but looked right in the end. Our booth actually explained it simply enough. Dixon’s foot hitting the grass was the key and then Cervelli having presence of mind to plunk him in the back. I dislike a loss, especially when things turned and I got to watch the last innings of the freebie game on MLB-tv last night … but I actually dislike losing to the ‘Rats a little less than to others in our division. I guess maybe I’m dreaming that we could do the same kind of things. Oh, and I just roll my eyes at Bailey. I can’t even listen to any comments where he says his numbers are trending better. Harvey’s trends are up … Homer’s are not. Period. Good recap, Chad. Still gets at least a Double BLARGH!! from me for the game. Why not have Peraza steal second? I think he was trying to do that … not sure why they did the bunt given Cervelli’s apparent gimpy hand. Why did Floro bat in the 12th? And why is Hatcher not being blamed for not telling Votto to tag up? Floro batted when no position players were left on the bench. I watched it this morning before I left for work. Weird? I think Votto was most likely out….even from the LFer-cutoff man-to the plate. It wasn’t very deep and he’s slow as molasses. He probably still had to go though with a pitcher behind Suarez and then Dixon. Joey definitely didn’t take into account that Dickerson has a arm that makes Schebler’s arm look like Dave Parker! The Reds never have any situational awareness and that definitely includes Votto! Why not Castillo instead of Floro though? Castillo has looked halfway decent at the plate this year. Of course why bunt with Dixon before that? Bunting with Dixon to setup sweet-swinging Hambone Hamilton for the rbi! Really? Indy: shouldn’t the third base coach be directing Votto on whether to tag up or not and when to leave the base after the catch? If Votto is watching the left fielder I can’t imagine him scoring, given his lack of speed. If he is set to take off on the coach’s command then maybe there was a chance of him scoring. I was asleep by then so I didn’t see the play. With Castillo starting day game today, I would be surprised if he was even in stadium in 12 inning. From the eyeball perspective, he was being hit hard the first 2 innings, and then mostly looked pretty pitchable thereafter. The three hits in the 6th were an infield hit to Gennett, and bloop to left, and a bunt. But Homer is not useful, if his best effort in a while puts his team down 4-0. The Reds are now 1-10 in his starts, with the win coming when he gave up 10 hits in 5 IP. I didn’t see the Dixon bunt play, but I hate that rule and have for 40 years. To me, a hitter becomes a runner as soon as he hits it. Given that the direct line for the hitter to first base is NOT inside that box, but instead a foot or so in fair territory, the rules essentially require the hitter to go out of his way (run farther) to allow a fielder to make a play. The same theory does not apply elsewhere, including making a runner on first run in a box on a grounder to the first baseman. That was a frustrating game. I really liked Riggleman’s aggresive playing-to-win approach rather than playing-not-to-lose, but a short, 4-man bench really handicaps those efforts. Using the best pinch hitter (Blandino) to pinch hit for the starting RF (Schebler) was a head scratcher. If nothing else, it demonstrates a complete lack of faith in the OF on this team. Pinch hitting for Lorenzen with a backup catcher hitting .111/.111/.167 (.170/.268/.255 in AAA) this season was also a head scratcher, even if Lorenzen was not going back out to pitch another inning. I don’t like Riggleman’s proclivity for utilizing a sac bunt as a primary offensive weapon. I really wish Blandino and Dixon had been playing on the 25-man roster from the beginning of the season. After his 1st 6 games Blandino was hitting .067/.067/.067 (1-15), then began to settle in and play like he had in AAA. Now Blandino looks like he belongs playing at the MLB level and could possibly be a key contributor in an enhanced role. Dixon is 0-4 after his 1st 2 games and we know nothing about his MLB potential. Those 36 games played by Pennington and Gosselin were not only meaningless, but counterproductive. I was long-since passed out in the Old Recliner by the time extra innings rolled around. I did not see the 12th inning, so I can’t comment on Votto’s settling for a double rather than a triple or not tagging on Suarez’ line out to LF. The bench was empty by that time, but a pinch runner for Votto would have seemed an ideal option if the bench hadn’t been empty. As an alternative, with Votto on 3B, Scooter on 1B and no outs, how about a bunt by Suarez with the 3B and 1B holding runners on base and the pitcher due up next. Suarez has good speed and no one in the stadium would have been expecting him to lay down a bunt. That’s one situation where a bunt could have been a huge play. A short, 4-man bench with two of the players hitting well below the Mendoza line is inexcusable and non-functional. Three starting players with an OBP among the 12 WORST in the league and 25 WORST in MLB is inexcusable and non-functional. Four starting players with an OPS among the 22 WORST in the league and 40 WORST in MLB is inexcusable and non-functional. Your last paragraph says a lot. I have hollered since last trade deadline for offensive upgrades. Four very good to good offensive players and 5 (4th OF included) that are bottom of the barrel. Why can’t the front office see what is so clearly visible to even the average fan? It just boggles the mind the amount of ineptitude that oozes from the Reds front office. They are going to keep on riding the Hamilton, Duvall, Schebler and Peraza train well past the time to deboard. The Crazy Train. Stunning managerial incompetance by having Dixon bunt to bring up Hamilton. For once I agreed with Thom! Then with Floro batting, your only chance is a safety squeeze but it doesn’t even get attempted. Lord knows they’ll give Homer until the All-Star break. I mean, Arroyo got 14 starts. Great job by the bullpen at least. With so many weapons, you seriously have to consider trying the Ray’s strategy of beginning the game with a reliever if the opposing team is stacked with hitters who bat on the same side of the plate. Glad to see my boy Lorenzen back in the mix! Fastball up to 98, but I think the at-bat vs Mercer really shows where his bread is buttered! He got ahead of him 1-2 then buried the slider on him and all Mercer could do was hit a 3 hopper to shortstop. I think there is more then a decent chance that Lorenzen could put up 160-170 innings as a starter and be among the NL leaders in doubleplay balls. He just needs a chance! Its too bad the Reds don’t penalize guys like Homer or Romano for poor production. If you get out of the 4th inning once-twice a month then your spot is golden. Finnegan had to walk half the park to get sent down. Rainey gets called up and Riggleman throws him head first right into the fire. Which ended up being a very good thing. Rainey put out that fire. Two on and Rainey walks the first batter and then buckles down. He gets 2 K’s and then a bouncer back to the mound. Rainey walked off the field looking like a new pitcher. Sure, he looked relieved getting out of a bases loaded no out jam, but there was a little swagger to him coming off the field. It was great to see. Lorenzen was a little shaky giving up a hit and BB in 1 IP. But no runs came in. Not that I wanted to see an injury to Iglesias, but it will be nice to see what the Reds look like for a couple of weeks without him. Who will fill those closer shoes? 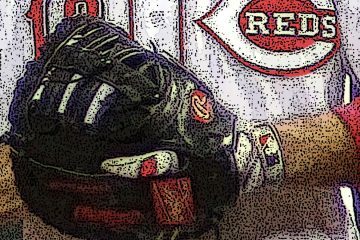 It might give us a glimpse of what the Reds look like post-trade deadline. Very limited roster & very limited manager. I think HomerÃ¢â‚¬â„¢s days in the rotation are over. I think he gets at least 5 more starts.